When this solar energy provider was founded in 2011, the company’s leaders knew that word-of-mouth would be critical to success. After all, selling residential solar systems that cost upwards of $30,000 isn’t easy. The more warm leads the business can get via referrals, the better. 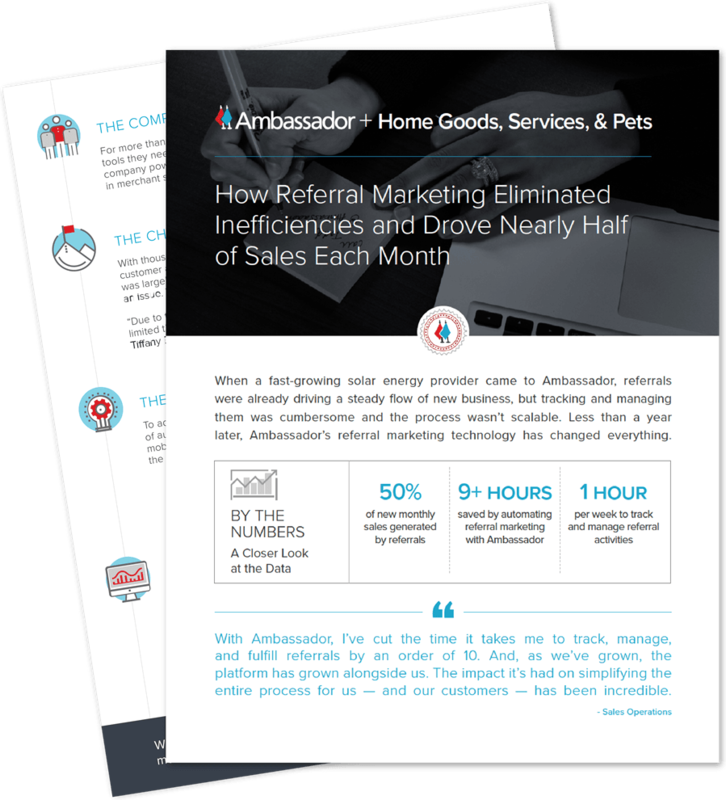 The good news: Right out of the gates, the company was generating a healthy number of referrals. The bad news: As the company grew, tracking and managing them manually became an operational nightmare. In 2015, the company’s IT team began working to automate certain aspects of its referral program (including setting up referral tracking in Salesforce), but even that required several tedious manual steps.